Marika will be returning to the library where she grew up in to give a talk on BABA YAGA’S ASSISTANT, writing, and graphic novels. This talk is open to kids and adults. Upstate New York Baba Yaga’s Assistant Launch! 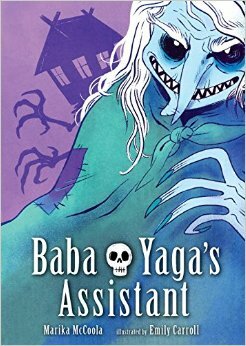 The Saratoga Springs launch of BABA YAGA’S ASSISTANT, illustrated by Emily Carroll. A talk about writing graphic novels and a short reading will be followed by a signing.